Shaw, Henry. 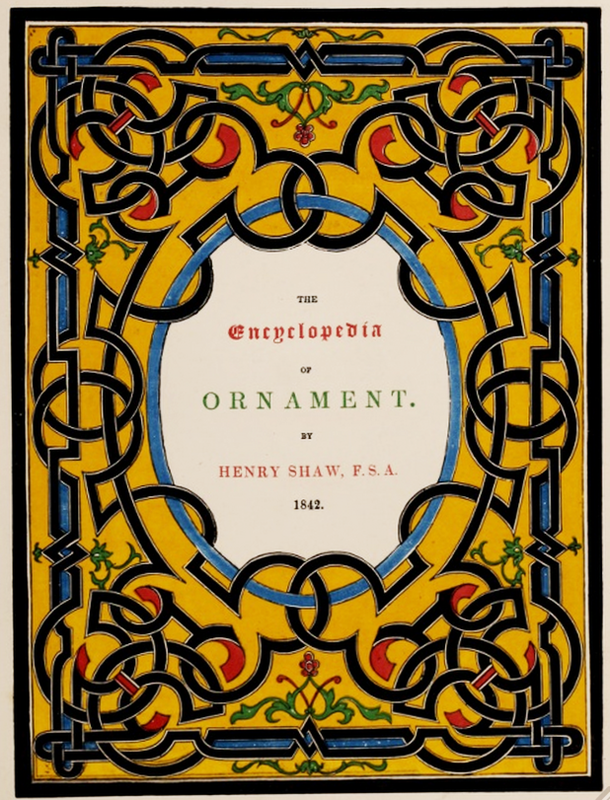 The encyclopedia of ornament. London: William Pickering, 1842. Provenance: Morris. — Richard Bennett. — Sotheby 1898, lot 1063 (sold to Henry Wellcome for £1 10s.). — Ruari McLean. — Morgan Library (127596). Reference: MS catalogue (2), no. 690.